Johnny is back on line! 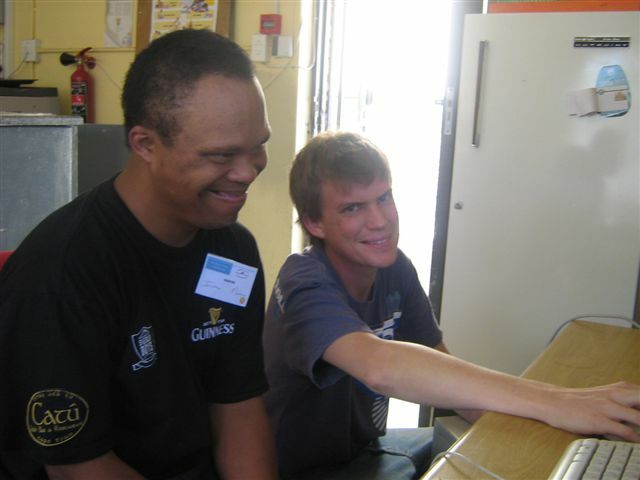 Jonathan McLean, 37, comes to our community office every day from 9am to 3pm, to do what he calls office work. 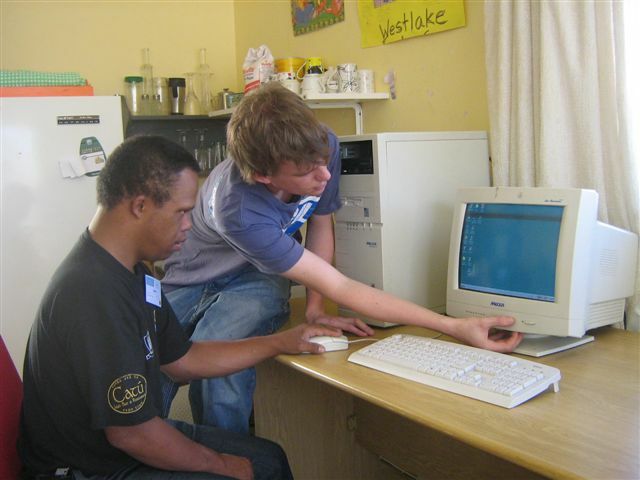 He loves his computer and does school work on it, and he also helps to clean up and do odd jobs. 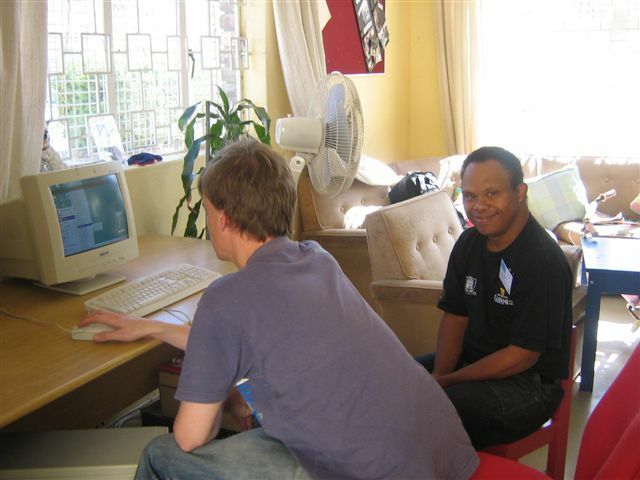 The office was broken into on 23 March, and his computer tower was stolen. He was devastated. 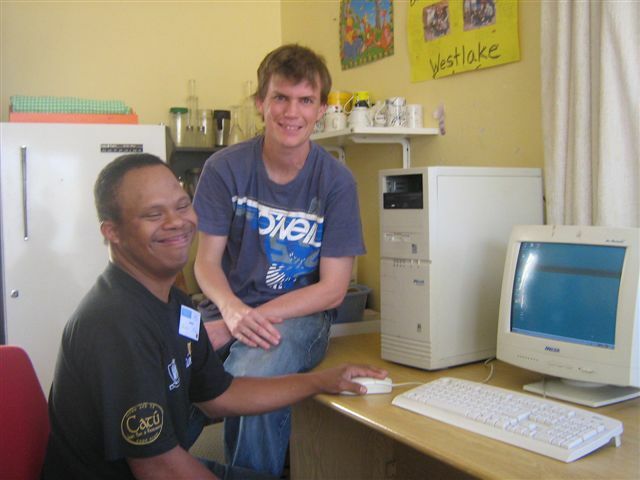 An article was written in the local Constantiaberg Bulletin, and a young man from Tokai, Nick Martin, very kindly came in with a new tower for Johnny. He is absolutely thrilled to be back on line and we are so grateful to Nick for his generous donation.